Syndicate Bank had successfully conducted Online Exam of SYNDICATE PGD EXAM 2014 for getting admissions to one year Post Graduate Diploma in Banking and Finance (PGD in B&F course) in Manipal Global Education Services Pvt Ltd, Bangalore (MaGE) and Nitte Education International Pvt Ltd., Greater Noida (NEIPL) on 27th December 2014 at various centres of all over the country. 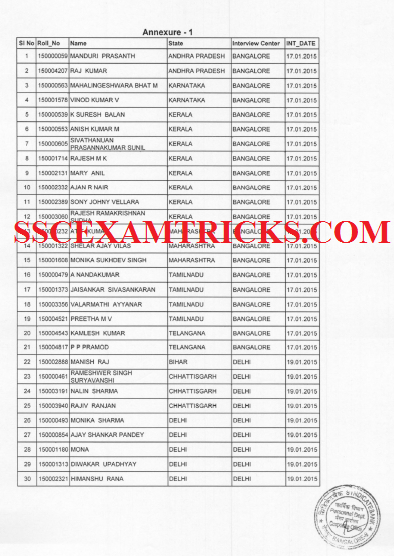 The latest news is that Syndicate Bank is has released the result of Online Exam SYNDICATE PGD in B&F course EXAM 2014. Those students who had appeared in Online SYNDICATE PGD in B&F course EXAM 2014 Exam and waiting for the result can download the result from the direct link provided below for the convenience of candidates. The qualified or short listed candidates may be called for Typing test and then interview after releasing result list by Syndicate Bank.